Just thought I'd update you on the progress of the quilt top in the last post. Here's the completed top! 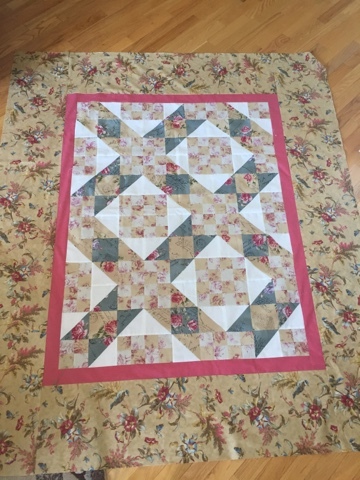 I found a great medium rose fabric that brings both the pieced middle and the outer borders together even though they are from different fabric lines. And I have a grey-green for the border! And I've used up almost the entire piece I had for the outer border - just a couple small (2.5"x10" maybe?) pieces left!